We may associate opera with languages like French, Italian, German and even Russian. But the story that Anchorage Opera performers will sing and tell this February, “An American Dream,” will be sung in English and references a uniquely American (and Alaska) chapter of history: the internment on U.S. soil of Japanese citizens during World War II. 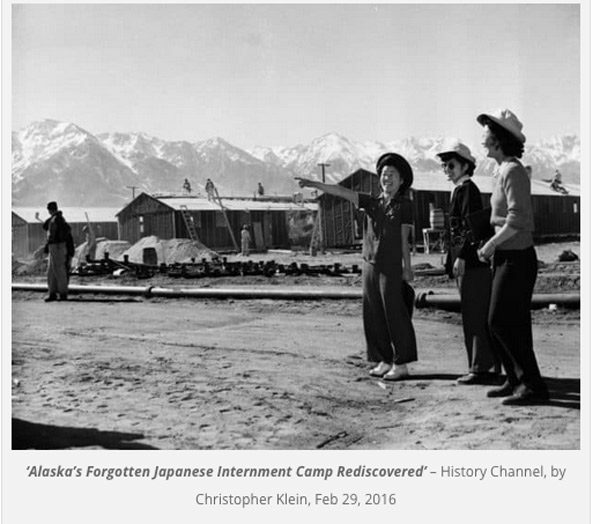 Many Alaskans are unaware that a temporary camp for Japanese people existed at Fort Richardson during the war. The opera’s story also may echo for Alaska Natives; more than 800 Aleuts were forcibly detained by the U.S. military during this same war. plight of Jews in Eastern Europe through the lives of two women. In Jack Perla’s “An American Dream,” possessions can be symbols of home and reminders of the past. According to the opera’s description, “Both families have secrets that bind them to each other, eventually revealed through treasured possessions abandoned and found.” Organizers plan post-performance talk back sessions to explore themes raised in the story, including wartime hysteria, racism and xenophobia. How does opera, which dates back to the 16th and 17th centuries in Italy and Germany, stay relevant in modern times? This opera’s story makes that case. We’ll hear a bit of opera during the show, and spend time speaking with Anchorage Opera leaders and the composer who created “An American Dream.” And we’ll find out how opera became their passion. Join us. LIVE: Monday, January 28, 2019 at 2:00 p.m.
REPEAT: Monday, January 28, 2019 at 8:00 p.m.